Executive function is a term that has long been studied by neuropsychologists, but in more recent years has been a hot topic in schools. Have you wondered what executive function is and what it means for kids with hearing loss? Wonder no more! Executive function is a set of processes that all have to do with managing oneself and one’s resources to achieve a goal. If you read anything about it, you’ll likely come across an air traffic control analogy. 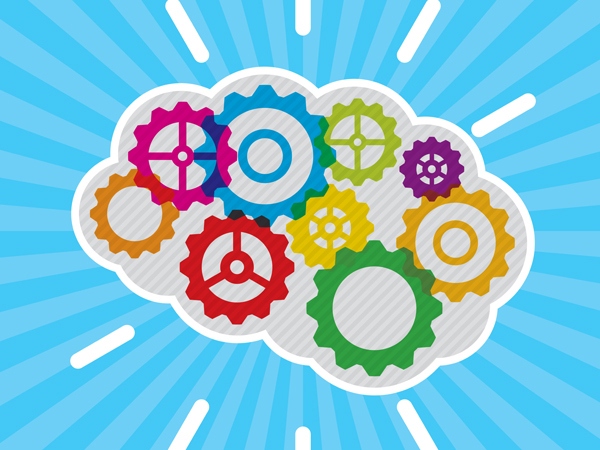 Executive function skills help a person plan, focus attention, switch gears and juggle multiple tasks — much like an air traffic control system at a busy airport. Like many cognitive skills, executive function connections in the brain are made early and develop with experience and practice. Executive function processes include organizing information, prioritizing information according to its importance, shifting viewpoints, using working memory and self-checking work for errors. Complex language is an important component needed to effectively carry out these executive function processes as a child grows. Therefore, children with language delays as a result of hearing loss are likely to have difficulties with executive function tasks. Take the example of a math word problem. To problem solve in math, a child needs to understand the overall concept of the problem as well as the details to solve it. He must understand the vocabulary and language of the word problem, prioritize the important information needed to solve the problem, organize that information for computation, use working memory to quickly recall answers to basic arithmetic problems and shift his mindset from “problem solver” to “checker” to look for errors. 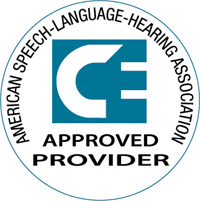 Because language is involved in many aspects of academics, the executive function skills of a child with hearing loss can be impacted in many ways. Children depend on their executive function skills to help them as they learn to read and write, do mental math, remember the steps in performing an arithmetic problem, participate in class discussions or group projects and initiate and maintain play. Next, help students organize their ideas. Provide opportunities for sorting and classifying information. Think of this as a mental “filing system.” Provide categories for vocabulary, use questioning for analyzing organizational patterns in text to sort for meaning and vocabulary, use pictures to help students distinguish between the main idea and details and help students learn how to take notes. Planning and Prioritizing – This is the foundation of effective learning. Direct, systematic instruction is key here. Use rubrics and samples of finished projects to help students visualize the result. Also use calendars and timelines to help set short-term goals to complete long assignments and provide a visual reminder of due dates. Shifting and Flexible Problem Solving – These are the anchors of academic success. Help students understand figurative language and multiple meanings, areas where students with hearing loss often have difficulty. Move beyond first tier words to expand vocabulary. Working Memory – This is retaining and mentally manipulating auditory and visual information. Help students focus on important information by giving a verbal or visual cue first. Remember the three R’s: repetition, rehearsal, and review to help glue important information into memory. Also, teach strategies to help recall information. You can find strategies for auditory memory in the free downloadable section of our website. 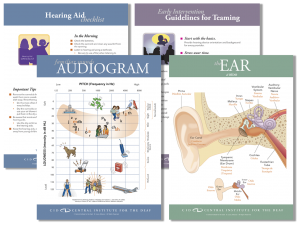 Learn more about those strategies and see activities in our online course and SPICE for Life auditory learning curricula. Self-Checking and Self-Monitoring – These are the cornerstones of independent living. Help students develop checklists to complete tasks and use sticky notes to remember materials for class. Give students additional time to check and correct their work. Consider giving bonus points for finding and correcting errors on tests. Base your feedback on the process and effort rather than the end result. Remember, it’s more about the process than the product! Center on the Developing Child at Harvard University (2011). Building the brain’s “air traffic control” system: How early experiences shape the development of executive function: Working Paper No. 11. Retrieved from www.developingchild.harvard.edu. Meltzer, L.J. (2010). Promoting executive function in the classroom. New York: Guilford Press. 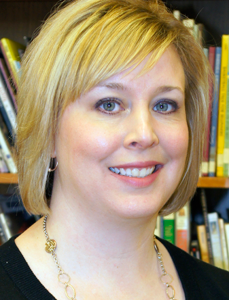 Jennifer Manley served as a classroom teacher for students ages 3 to 12 at CID – Central Institute for the Deaf. She currently works in professional development giving presentations on auditory development and is co-author of CID SPICE for Life, an auditory learning curriculum and author of the 2nd edition of CID SPICE. What an interesting read! I studied neuroscience as an undergraduate many years ago, and have not considered all the implications that hearing loss may have on a child’s development. This was a helpful overview of some of the issues children with hearing loss may have specifically concerning their executive functioning while providing some suggestions to help combat these delays. What I find most interesting is the prospect of using organization and planning to assist in improving executive function. Currently, I am in a high school for deaf students and see a LOT of disorganization, lack of planning, and sometimes forgetfulness that overwhelms these individuals. Thinking of ways to guide them to be better organized and plan ahead gives me something not entirely related to academics that we can focus on together.